TELEFUNKEN Elektroakustik is proud to offer matched stereo sets of the C12 large diaphragm tube microphone, featuring a custom dual power supply capable of powering both microphones at one time, and a special locking flight case that will carry both sets of microphones, cables, wooden boxes, and the dual power supply. If there were ever a microphone that was the epitome of classic, hi-fidelity sound, it would be the AKG C12. 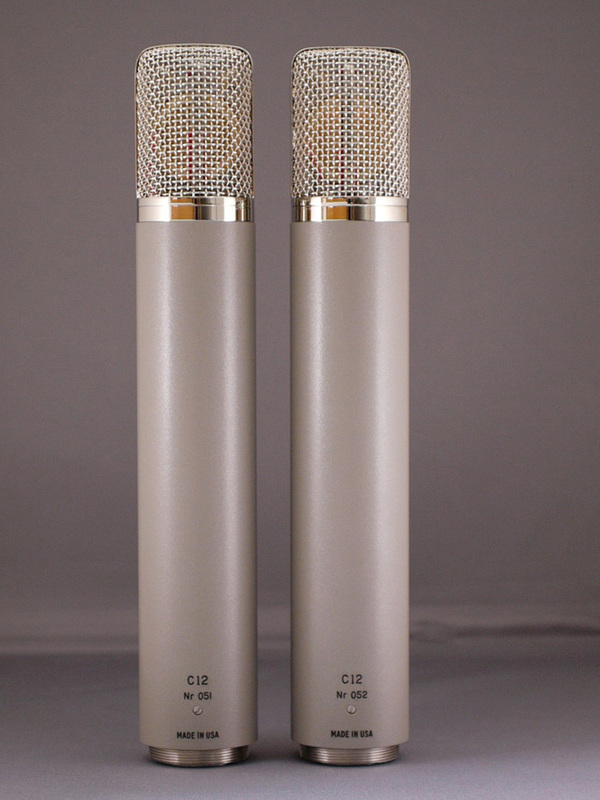 Revered for its smooth, airy response, the C12 quickly became a favorite among recording engineers of the time, and is still a highly sought after microphone on the vintage market.TELEFUNKEN Elektroakustik is proud to manufacture the C12 once again. The microphone features our new CK12 capsule (built from the original manufacturers technical specifications), a Haufe (manufacturer of the original) output transformer built to match the original, and a microphone grade NOS GE 6072a vacuum tube just like the original system. Every part of the C12 microphone has been reverse engineered and recreated exactly to the original to match not only its sonic integrity, but also to preserve the impressive point-to-point construction and aesthetic of the original. Stereo microphone techniques are often used for recording classical music and large signal sources like orchestra, choirs, and large chamber groups. They can also effectively be used on drum overheads, acoustic guitars, piano, and percussion. 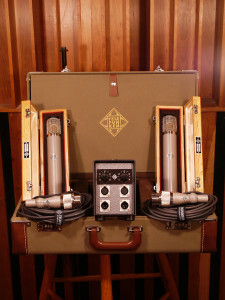 TheTELEFUNKEN C12 Stereo Set will allow versed recording engineers a variety of stereo recording techniques, including X/Y coincidental pairs when utilizing the mics in their cardioid patterns, or A/B spaced pairs while using the mics in either cardioid or omni. 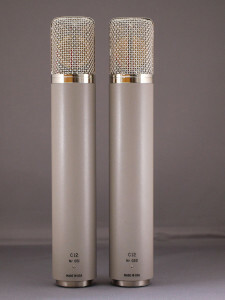 The option of a Blumlein pair is also available with both microphones set to figure-8, as well as the traditional M/S (mid / side) technique when using one mic in cardioid and the other in figure-8. The custom M 910S dual-microphone power supply offers nine polar patterns for each microphone making the options of stereo microphone techniques nearly infinite. 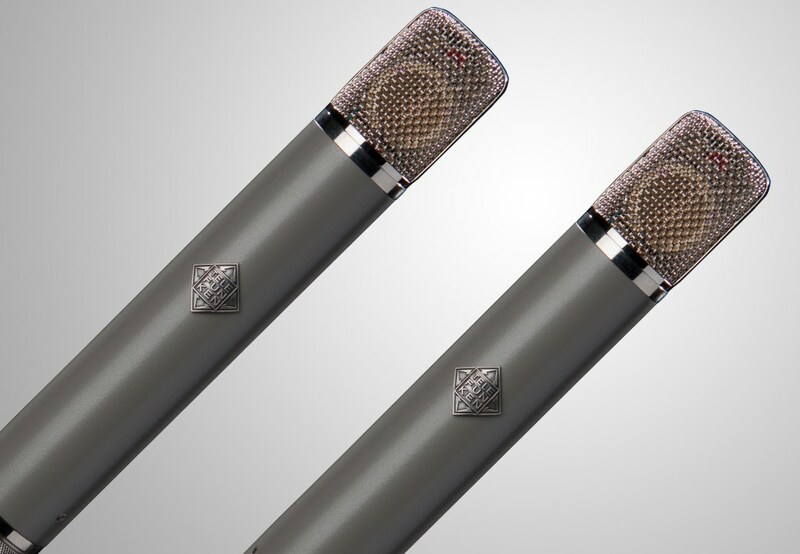 Every component in each of the two TELEFUNKEN C12 microphones is hand-selected, allowing as close a match as is possible between each system. Capsules are tuned to each other; transformers and tube are tested for matched gain and frequency response. These sets offer the user the knowledge and comfort that the tools they are using will give identical responses for their most important stereo recording. Each C12 STEREO SET comes complete with a dual M910S power supply, 2x M810 25′ quad-shielded ACX-7 tube microphone cable, 2xWB10 wooden microphone boxes and a FC10 locking flight case. 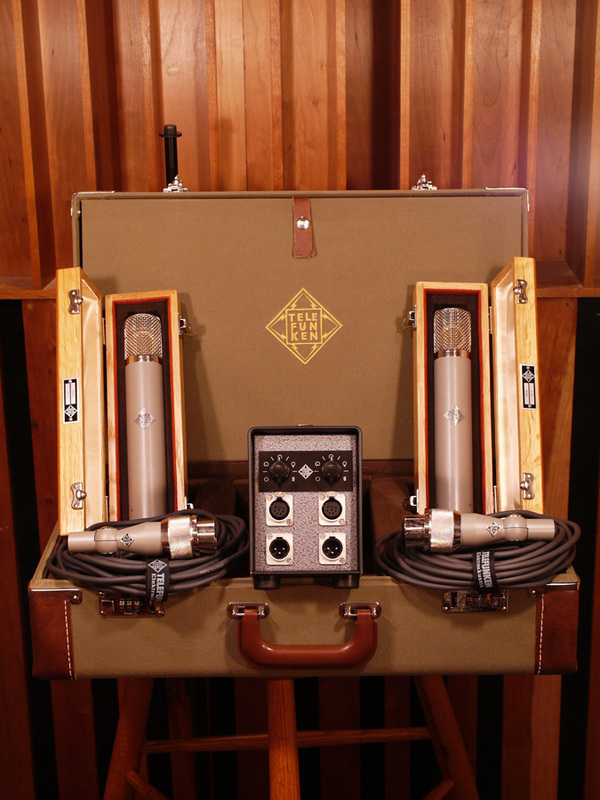 All TELEFUNKEN Elektroakustik microphones are hand-built and assembled in Connecticut, USA. Output Impedance < 250 ?